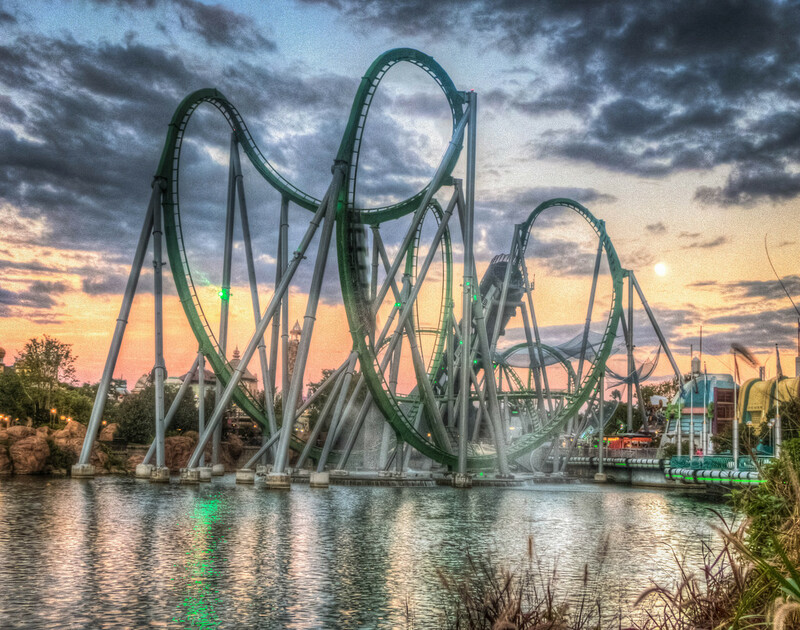 A roller coaster is a work of art. The twisted sculptures are awesome to ride and great to look at. 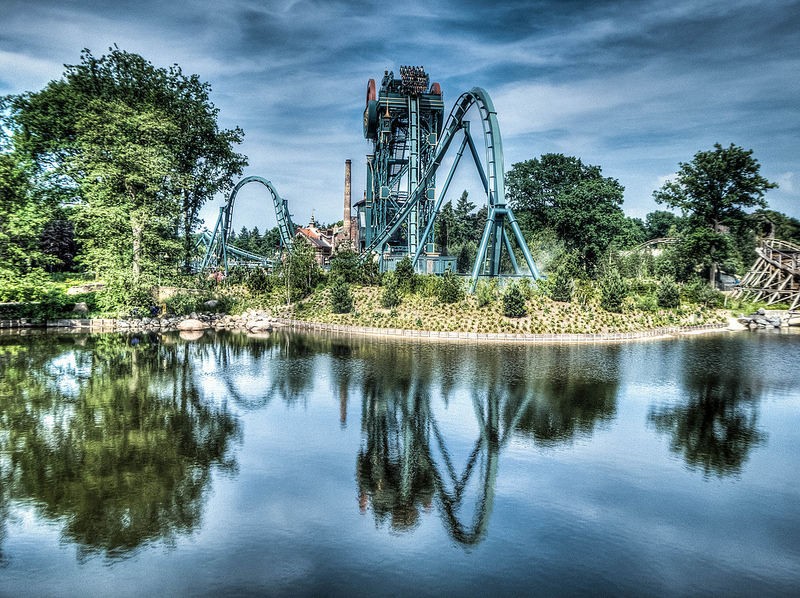 There are hundreds of photos on CoasterForce and we’ve selected our favourite 11. 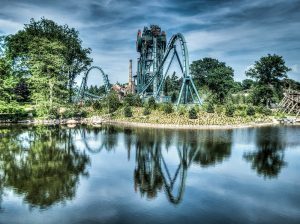 This B&M Dive Coaster at Efteling in the Netherlands, has a 56 mph (90 km/h), 123 foot (37.5m) drop into a mist filled tunnel. The moody clouds capture the fear of falling into the unknown! 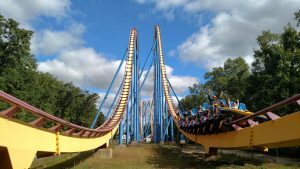 An angle never seen before capturing two thrilling airtime hills. 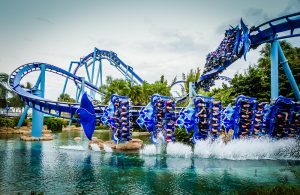 Image can be found on our B&M manufacturer page. Everybody knows wooden roller coasters ride best at dusk. They look great at dusk, too! 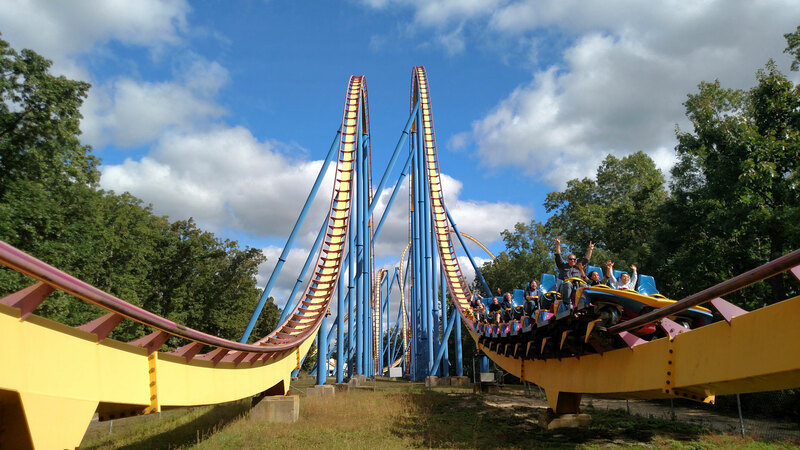 Image from our Intamin manufacturer page. See what we mean? 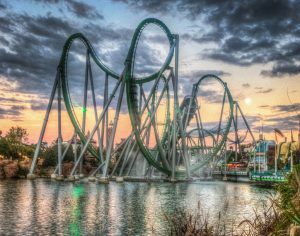 How beautiful does Hulk look at dusk? Don’t you want to ride it right now? We do! Image posted on our discussion forums. Photoshop time! 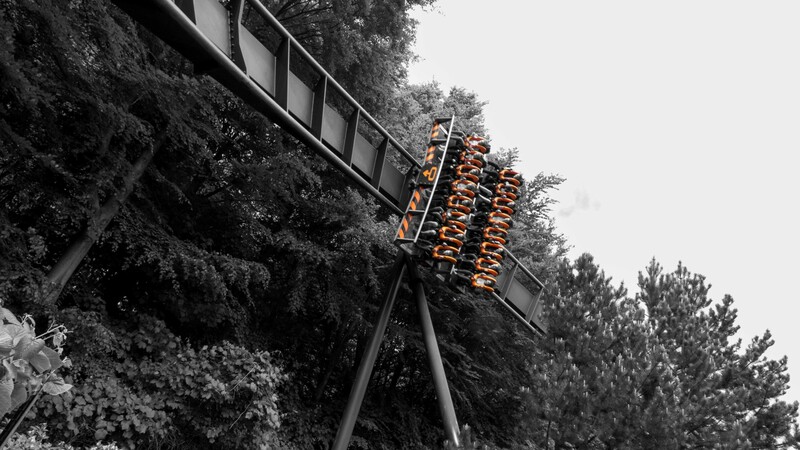 If you didn’t know that Oblivion has orange restraints, you do now. Posted in the Photography topic in our forums. 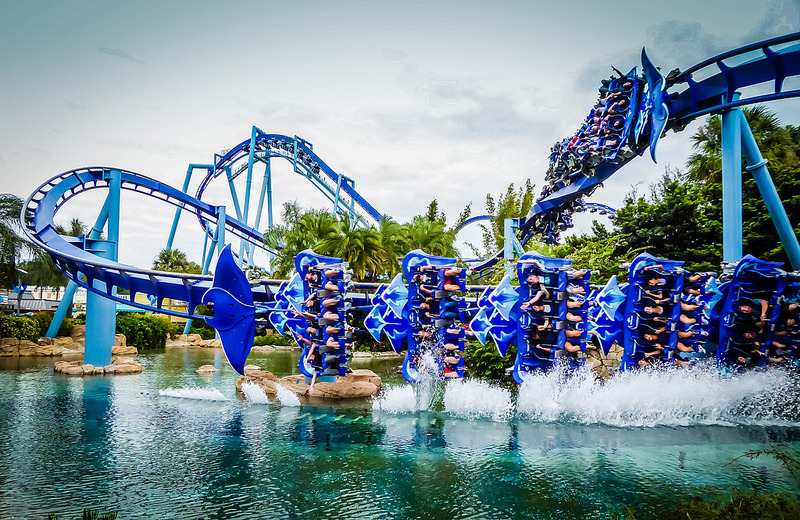 Whilst we’re talking about Photoshop witchcraft, this trick shot has multiple trains on SeaWorld’s fab Flying Coaster. It doesn’t really have so many trains running at once! No Photoshopping needed for this image. 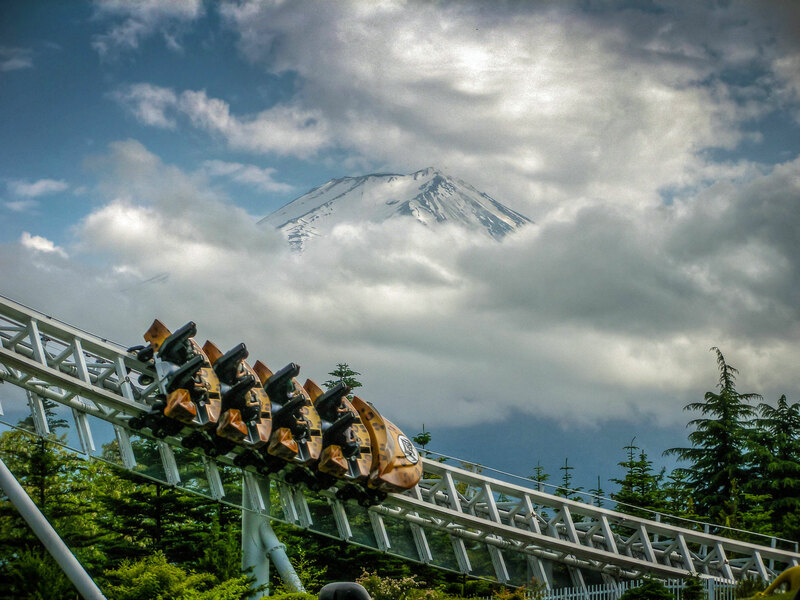 Is there a coaster with a better backdrop? 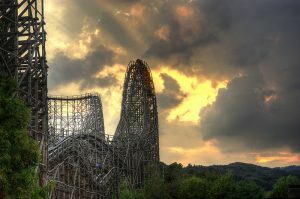 This image is on our Air Launched Coasters page. From the breathtaking to the serene. Kingda Ka and El Toro peacefully reflect in the calm water in stark contrast to their fierce ride experience! 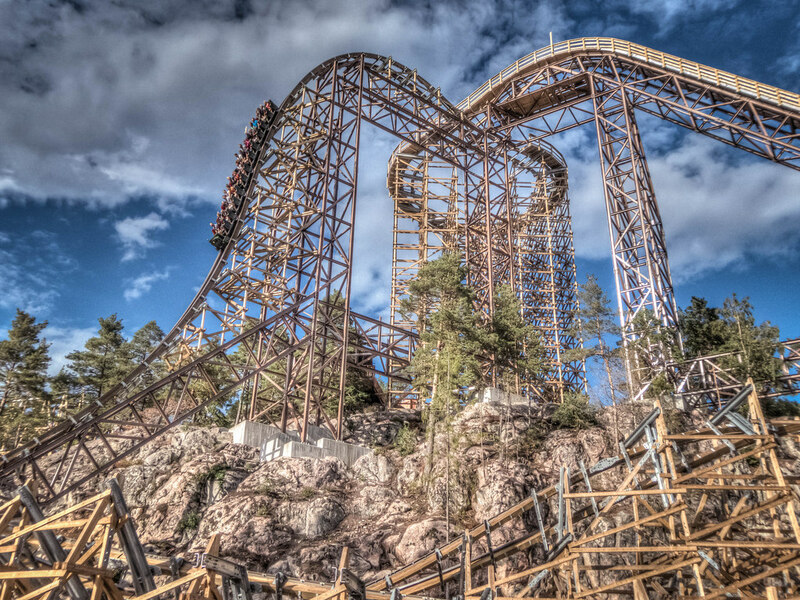 Some roller coasters are cleverly built to suit the terrain, making them look extra gorgeous. 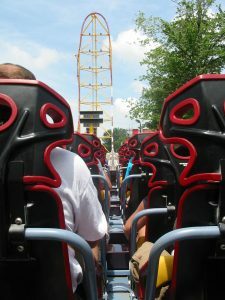 This image of Wildfire’s 160 foot (49m) drop can be seen on our RMC manufacturer page. 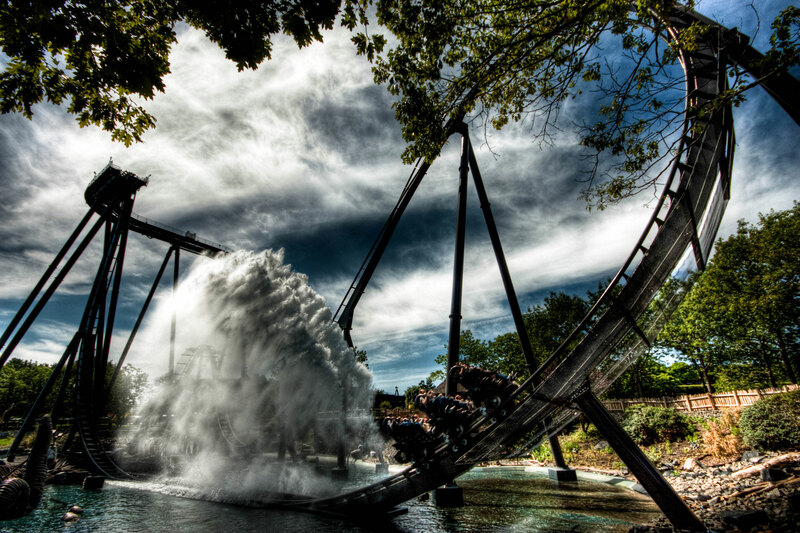 A water splash on a B&M Dive Coaster looks spectacular to onlookers and this photo captures the moment perfectly. 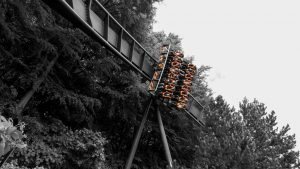 Anticipation is an essential roller coaster emotion. 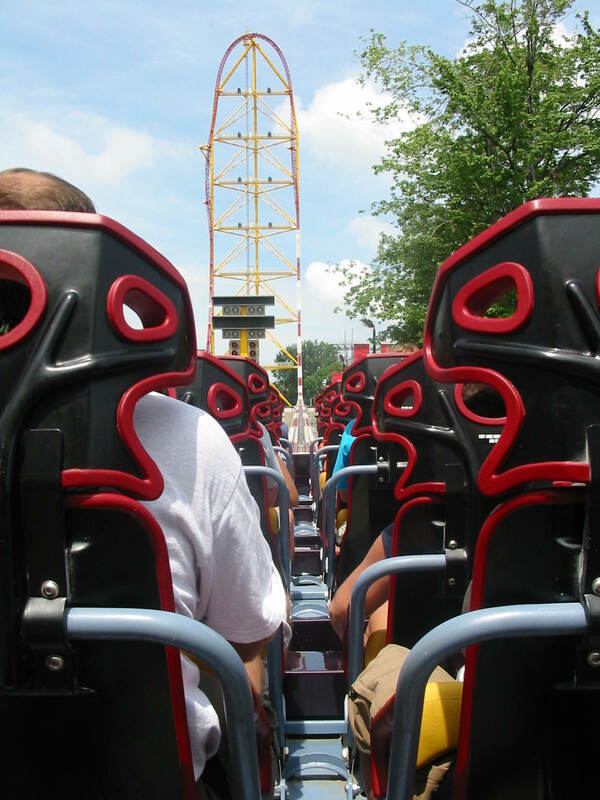 Here’s that sweet – or maybe sweaty – moment waiting to launch from zero to 120mph in less four seconds before racing 420 feet (128m) upwards towards the sky! 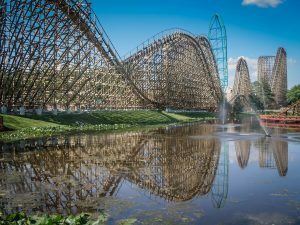 For a daily theme park and roller coaster image hit, make sure you follow CoasterForce on Instagram.